This is a sponsored post. All opinions are a 100% my own. The thing about being a parent is that everything is ever-changing. They outgrow stages quickly and along with it outgrow items we get for them as well. 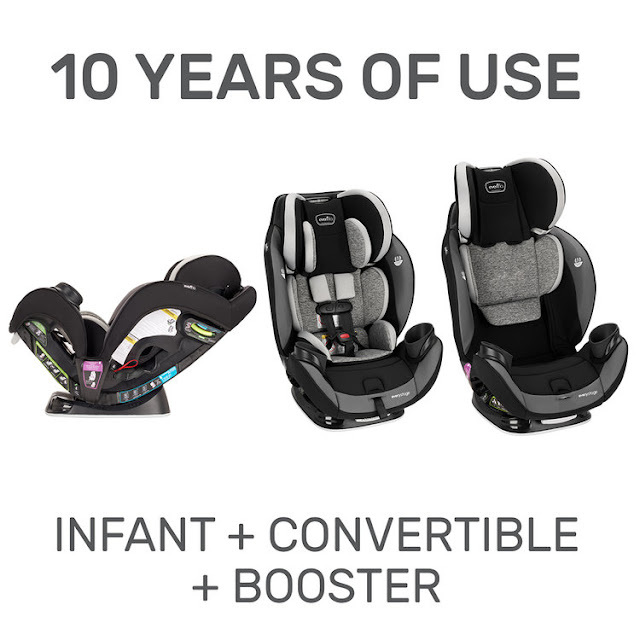 One of the biggest purchases you will make is a car seat for your new bundle, and while most car seats can be bought separately by stage, the Evenflo EveryStage DLX All-in-One Car Seat is the only car seat your child will ever need. It delivers safety, comfort, and an easy installation experience. All fantastic features, and all you'll need to replace your Infant Seat, Convertible Seat, and Booster Seat. 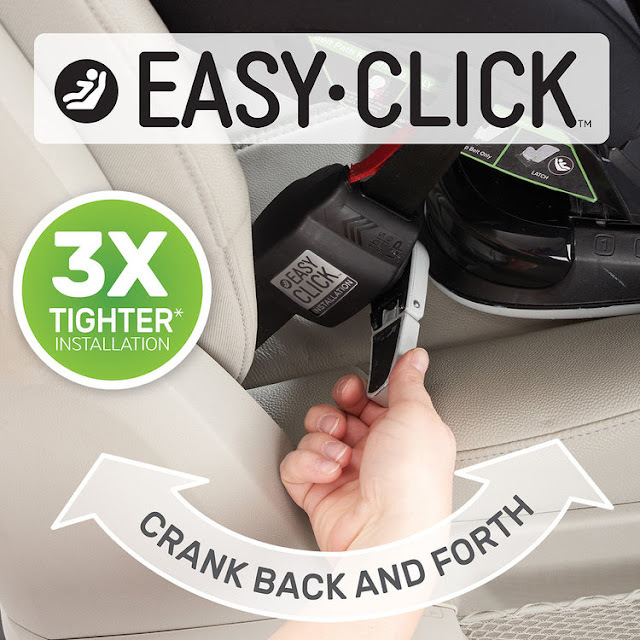 I loved the innovative EasyClick™ LATCH system that made me installing the seat on my own easy, and it provides a 3X tighter installation for a wiggle-free seat without having to get into the vehicle. 3X tighter installation: EasyClick Latch system installs in seconds without having to get into the vehicle. 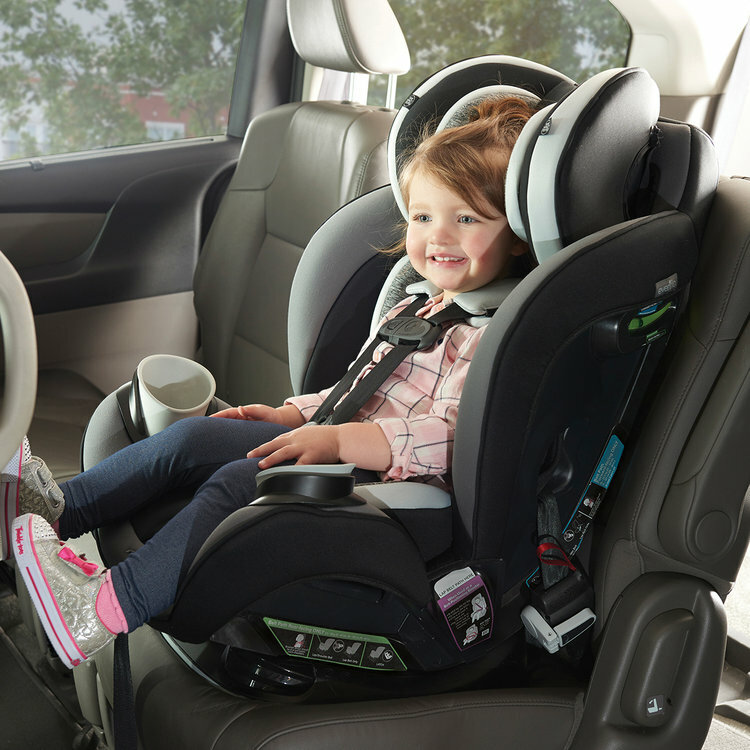 If you are a new parent and wondering what to look for in features when it comes to car seats, it starts with comfort for your child, safety, and easy installation. An additional feature that this car seat provides is the ability to use it for years, which makes it an item at the top of your "baby needs" list. It's ability to easily grow with your child is something you will be grateful for when they outgrow the stages. There are 10 total positions to adjust the seat for an accurate fit as your child grows. 5 recline positions; with 3 rear-facing leveling options for improved vehicle fit and 2 forward facing recline options for comfort. 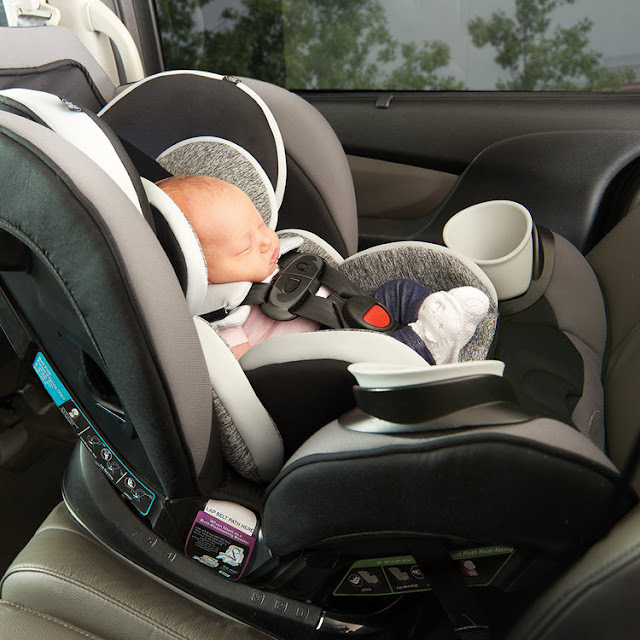 From the everyday adjusting the harness with one hand, to the convenient dishwasher safe cup holders, it's a well thought out car seat packed with amazing and useful features. 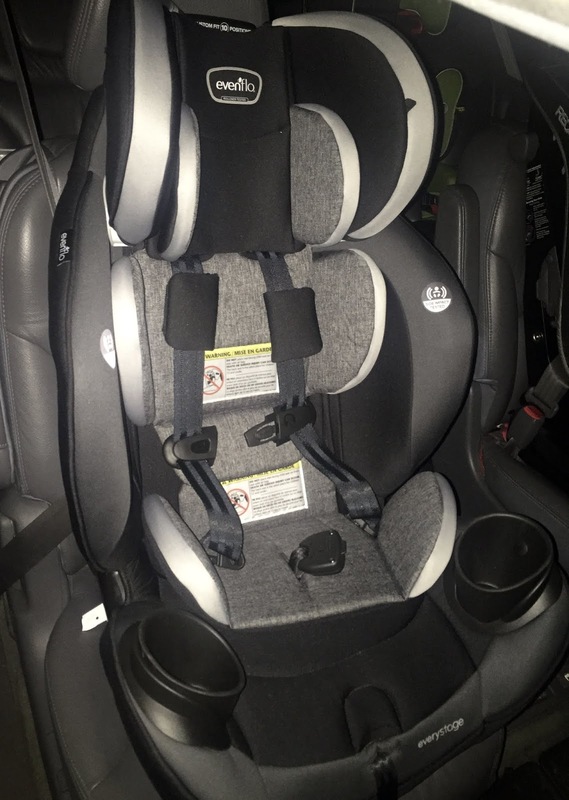 It can be overwhelming to shop for car seats, but my tip is look for the features and how much use you will get out of it. The Evenflo EveryStage DLX All-in-One Car Seat is a must-have, with an affordable price of $229, I have learned to appreciate Evenflo for quality and affordability you can count on.